Happy New Year, Readers of the Afrooptimist! I hope 2017 will be an exceptionally positive year for us all because 2016 was incredibly bizarre on so many levels. We saw pain and suffering escalate in Aleppo; Black lives mattering less and less in the US; the #whiteoscars; the passing away of heavy weights and legends; Brexit; the election of Donald Duck; despots clinging to power; state sponsored doping in athletics; low-tech deadly terrorist attacks; Kanye going mental; South Africa’s decision to lower the high school mathematics pass rate to 20%; plane crashes; the Zika virus; earthquakes and hurricanes; plunging currencies; racial slurs on social media … it goes on and on. But, there were some noteworthy events that made many of us feel even prouder of our black skin and African heritage. Here are those top 10 events (in no particular order) from 2016 that screamed “Say it out loud, I’m black and I am proud” in spite of so many things working against us as a people. What a legend! 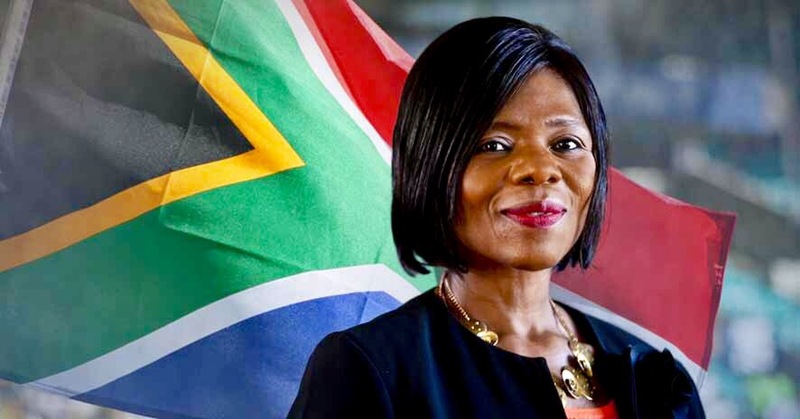 If I had the powers to nominate someone as Person of the Year, it would be Advocate Thuli Madonsela, the former Public Prosecutor in South Africa. Unfazed by intense political pressure and even death threats, she investigated and exposed top public officials during her tenure. Madonsela recently finished her term and left office with a bang – publishing the “state capture”report – a 355 page report that found a staggering scale of corruption between the Guptas (a family that controls the ANC and even decides who sits on the cabinet) and President Zuma and his cronies. She will be deeply missed. It was pure joy watching African athletes, especially the runners, shine at the Rio Olympics. We can all remember Ethiopia’s Almaz Ayana obliterating a world record by more than 14 seconds. How about Kenya’s David Rudisha who won the Mens 800m despite injury and Faith Chepng’etich who won the Women’s 1500m? It was earth shattering! Perhaps, its because I live in South Africa, but Wade van Niekerk stole my heart. The young 24 year old from Cape Town picked up a world record when he killed the 400m event. Get this: he blew Michael Johnson’s 17 year record by .15 of a second. Of course, Castor Semenya, another gold winner, is one that is special to our hearts especially due to her public humiliations. 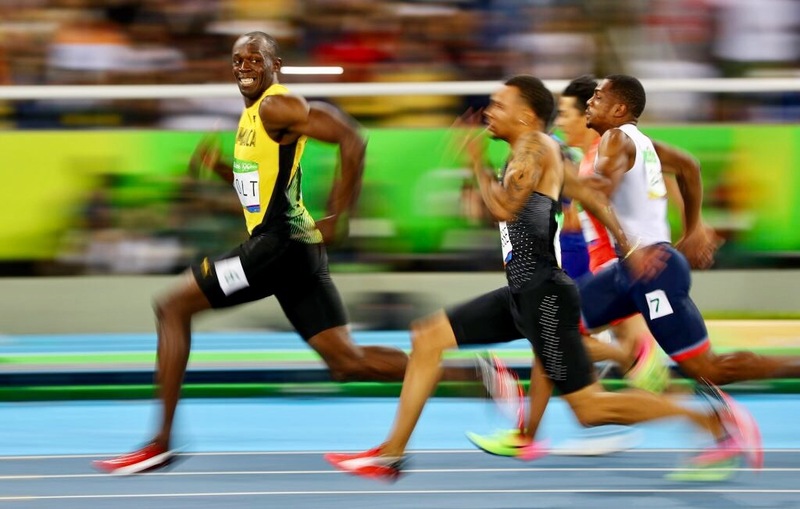 In this category though, I would have to give the black and proud award to Usain Bolt – half man, half god. Words cannot describe this man’s awesomeness. 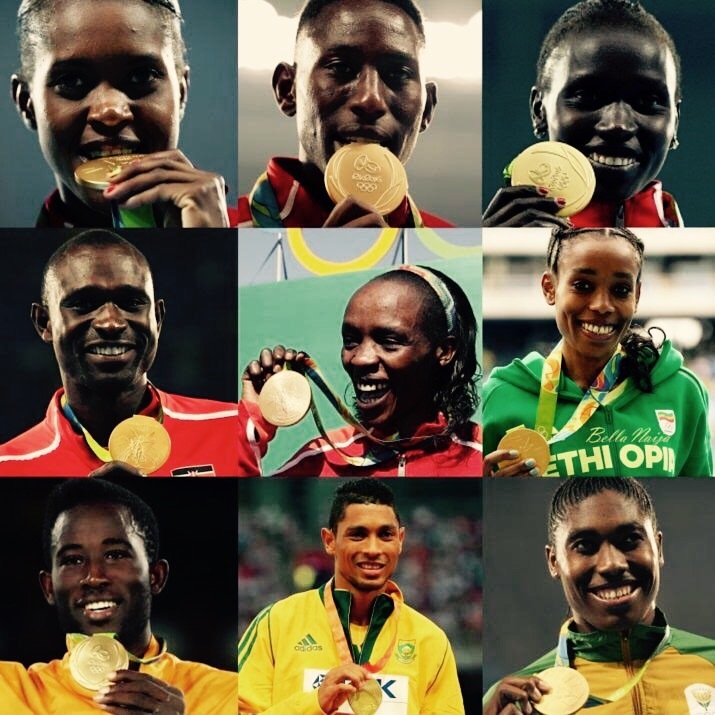 We definitely made history in 2016 thanks to these all other other athletes that did us proud. Critics of democratic systems in Africa have rightly pointed out that it is often to limited to the holding of elections which are easily rigged or bought. A bag of rice or a small cash handout and you secure a vote – that simple. Well, times have changed and 2016 was proof of that. Whether Gambia’s president, Yahya Jammeh, accepts it or not, the people have spoken. They could not be silenced or bought. This is also the case in Ghana, where a history was made in terms of an incumbent losing an election after only one term in office. In South Africa, things are little more complicated where the majority people have very limited options in terms of party politics. But even here, we saw the ANC lose a significant number of municipalities in the 2016 local government elections. In fact, popular support for the ANC fell to its lowest level since 1994. 2016 has certainly set a tone for politicians and its a warning – shape up or ship out. There was a moment when I wished Donald Duck would find Barack’s Kenyan birth certificate so we can properly claim him. Thats how much I adore this family. In my eyes, they are our people and they have made us so damn proud. In their last year in the white house, they have shown so much grace especially in the way they campaigned for Hilary. Michelle’s classic line “when they go low, we go high” will always be remembered. They are leaving the white house absolutely scandal free. As if they aren’t cool enough, their oldest daughter, like her parents, will be attending Harvard University in 2017. I have a feeling we will be seeing the two young Obama girls shaping US public/foreign policy in the future. I’ve written about the British-Ghanaian architect, David Adjaye, in a previous blog and happy to gloat about him once more. In 2016, he was selected as the winner of MIT’s Eugene McDermott award in the arts which honors “individuals whose artistic trajectory reveals that they will achieve the highest distinction in their fields and continue to produce inspiring work for many years to come”. 2016 was such a great year for him because his firm also won Architects of the Year by the Iconic Awards. This was to recognize all his impressive projects, least of which is the Smithsonian’s National Museum of African American Culture and History, which opened on 24 Sept 2o16. President Obama delivered opening remarks at the event; Oprah, Will Smith, GW Bush Jnr and others delivered speeches as well. It was a key moment in history and we can be proud of the man behind the scenes who designed this very important building. 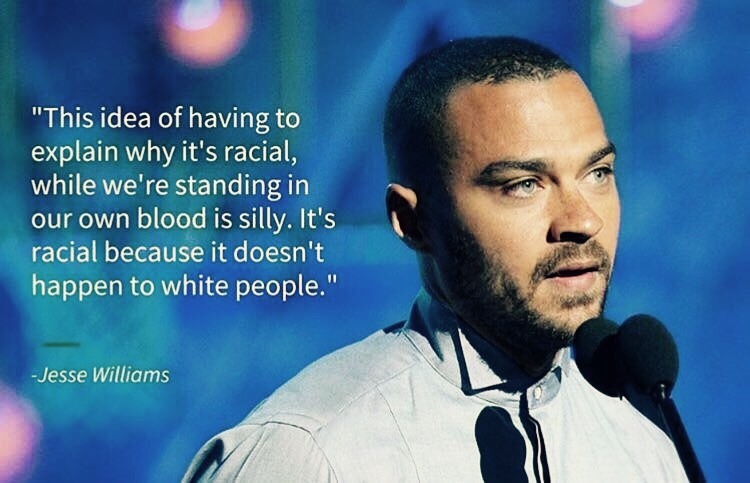 Jesse Williams would be my close runner up for the Person of the Year award. I remember getting goosebumps listening to his speech which was raw with emotion and passion. For someone like me who only knows him as the pretty face doctor/mama’s boy on the Greys Anatomy show, this outburst took me by surprise to say the least. It came from a place of deep pain seeing innocent and unarmed young black men being gunned down time and time again. He had had enough. We have all had enough. But Jesse spoke for all of us that night while reminding black folk that we are indeed magic but just because we are magic doesn’t mean we are not real. Thank you, Jesse! It is crazy to think that in this day and age, black girls have to take to streets to march for the right to wear their hair natural in schools as was the case in the Pretoria Girls High School. Again, another proud moment in 2016, when young girls with the boldness of Rosa Parks, asserted themselves strongly and appropriately and successfully got the school to suspend their hair policy while an investigation took place. As I salute the young women, I am painfully aware that it a cross we still bear and a battle we still need to fight. The lyrics of Solange’s “Don’t Touch My Hair “song says it all. This is a tough one. The fact is, 276 girls were taken in the middle of the night in 2014 and even though some escaped and 21 girls were recently released following a deal brokered by the Red Cross and Swiss Government, about 196 girls are still unaccounted for. That said, there was something incredibly special about the images of the girls, now young women, returning to their families to spend Christmas with them. Communities came out in numbers to greet them and welcome them back. That was pretty special and without a doubt, a proud moment for Africa. Lets bring the other girls back home. Unfortunately, it was only due to his passing in April 2016 that I became familiar with the incredible work of the award winning Malian photographer, Malick Sidibe. He was known for his black and white photographs of popular culture in Bamako back in the 1960s. As his work surfaced all over mainstream and social media, I became in awe of his talent. We lost many good ones in 2016. Malick is gone but his art will live on forever. Wishing you you all a fruitful 2017! Make it count! Posted in Arts, Places and Culture, People, Places and Culture, Politics and tagged black athletes, David Adjaye, democracy, Ghana, kenya, natural hair, nigeria, Obama, Thuli Madonsela, year in review, zuckerberg. Bookmark the permalink.